post will focus on a different sense and I might even bring in that rowdy SIXTH SENSE to round everything up. Okay lords and ladies, let’s begin with scent, shall we? What springs to mind here are Sunday suppers, pork loin dotted with rosemary, the scent of raisins and stuffing and spice exploding each time the oven door opens. Aroma’s, rather delightful or not, invoke memories. If you have a keen sniffer, you might also be able to detect a storm before it arrives. The earth is different then, soil sighing and humidity yelling. Did you know moisture heightens our sense of smell? It does. And were you aware women have a keener sense of smell? They do. As we age, our sense of smell weakens, though. Middle age is peek smelling season. I vote we all stay middle aged. Oh, wait, too late for me. Did you ever notice that houses have layers of odors? I remember an old farmhouse we lived in, which smelled of plants, laundry detergent, and an undercurrent of all previous owners combined. It’s as though scent embeds itself into walls and floors. these things. I have brothers. The masculinity, shall we say, does shout smoke, spice and sweat. cinnamon, lavender oil, powder, perfume and candles. Of course there will be fruity odors mixed in and funky, too, depending on whether they keep a clean house and if they cook. chattering to her and overwhelmed with tenderness. Yes, baby powder can snap me back that fast. Our world is one big, smelly memory. This week I’m taking my basket of scent and sprinkling it throughout my work. How about you? What particular scent fires up your memory? the house is rather wiffly. let's buy one like it and hang out there. with good smells. i guess that means we need to take showers and bake, huh? Many thanks, Stephen. 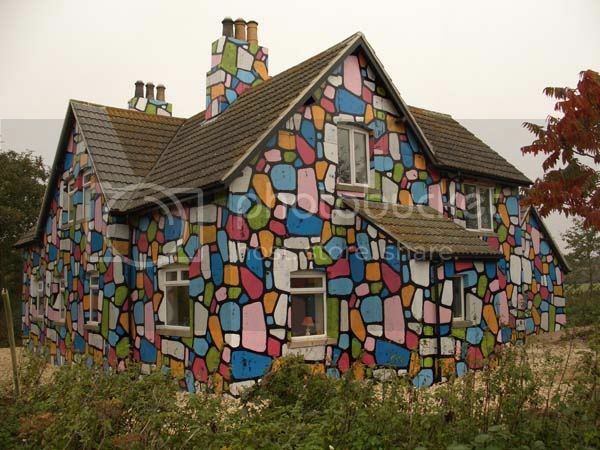 I wish that was my funky house, but sigh...it's not. I have no idea, but isn't it cool? Oh, yes, fresh mowed grass...love that smell, too. What does snow smell like? It's been so long since I've seen or smelled any. You've got me thinking, Susie! Thanks, Lisa. Yeah, when we really start thinking about scent, it can transport us right back to mom's kitchen. Or who knows where else. this is SO amazing and vividly ALIVE...I LOVE IT ILOVE IT..IDO...whose house is that?